Smithers is located in NW British Columbia only 1.5hrs flight from Vancouver Int. Airport and 4 hours from Calgary Int Airport. Flights from Calgary International Airport are not direct and go via Prince George. From Smithers it is a 1.5hr drive via our shuttle van to Bear Claw Lodge or if you desire to book a helicopter transfer it is then only 20 minutes. 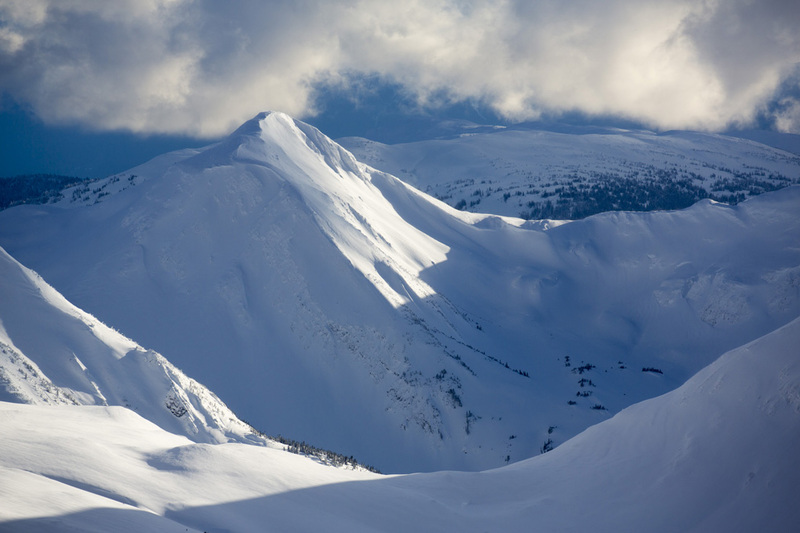 You can fly from Vancouver to Smithers with Air Canada and Hawk Air and from Calgary with Central Mountain Air. We recommend if you are coming from Europe to book over Vancouver and also with a Star Alliance carrier, that way your flight to Smithers and return will all be on one ticket. This will make things easier on your return trip where then you can check in your luggage in Smithers and it will go direct to Europe with no need to handle it in Vancouver. Additionally if there are any delays or missed flights due to poor weather or any other reason from Air Canada, you will be issued a new flight. Our main location and staging area is Bear Claw Lodge. The lodge is a approx 1hr 45min drive from Smithers Airport with the shuttle van. How big is the area? 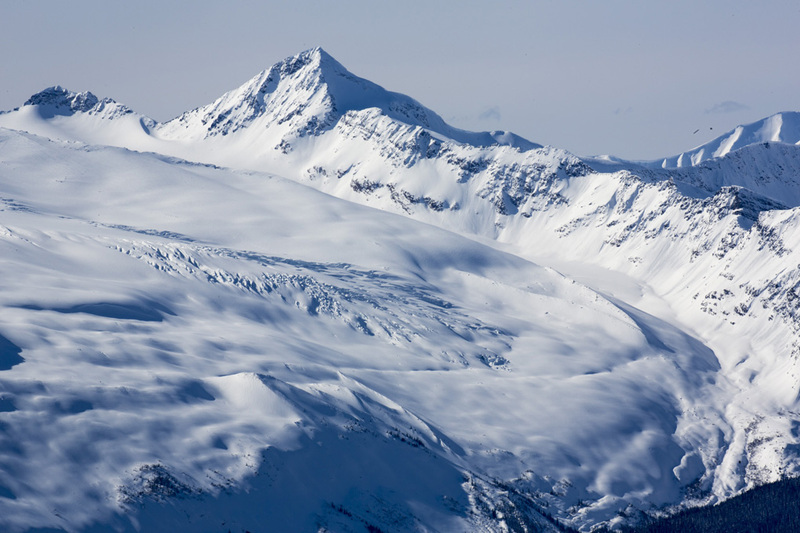 The Skeena Heliskiing’s area is situated in the heart of the Skeena Mountains. The total ski area is approx. 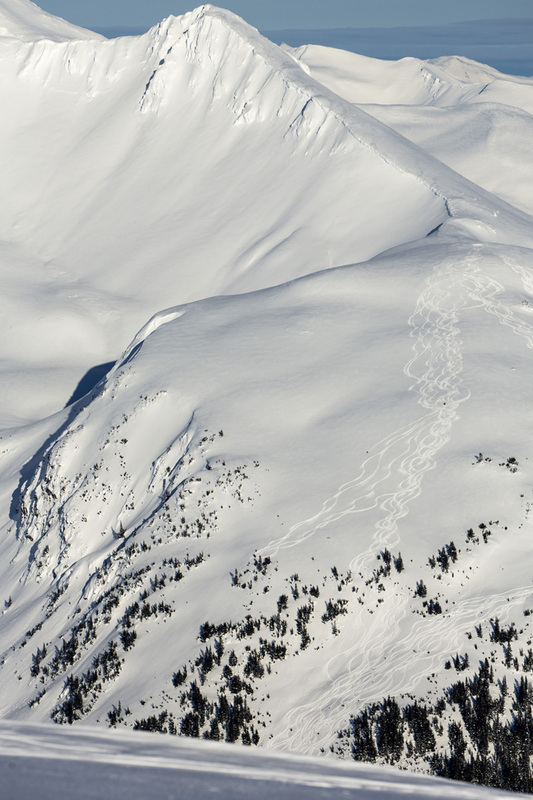 9,525 km2, making it one of the largest Heliskiing areas in the world. Currently we have over 280 different summits we land on adding up to over 860 different run variations. 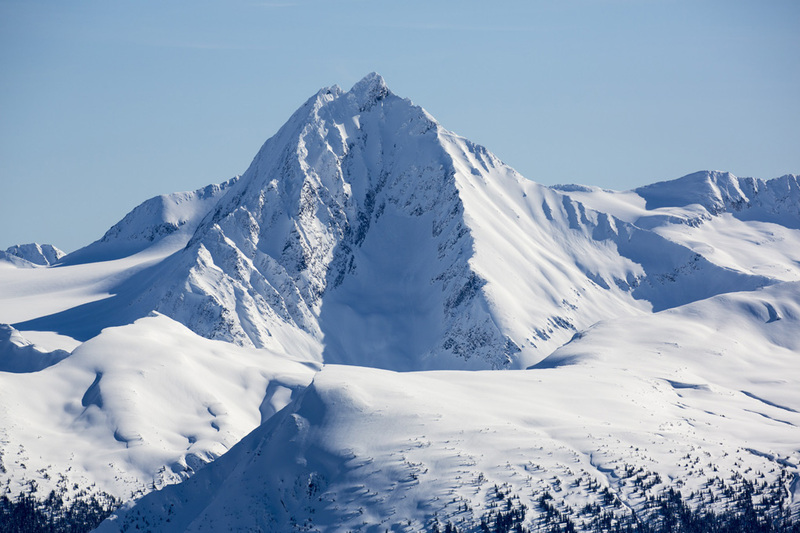 The Skeena Mountain range has a huge diversity of terrain, from the high vertical slopes to powder bowls with pillows and shoots as well as sweeping glades and an abundance of tree skiing providing more Heliskiing opportunities during bad weather periods. 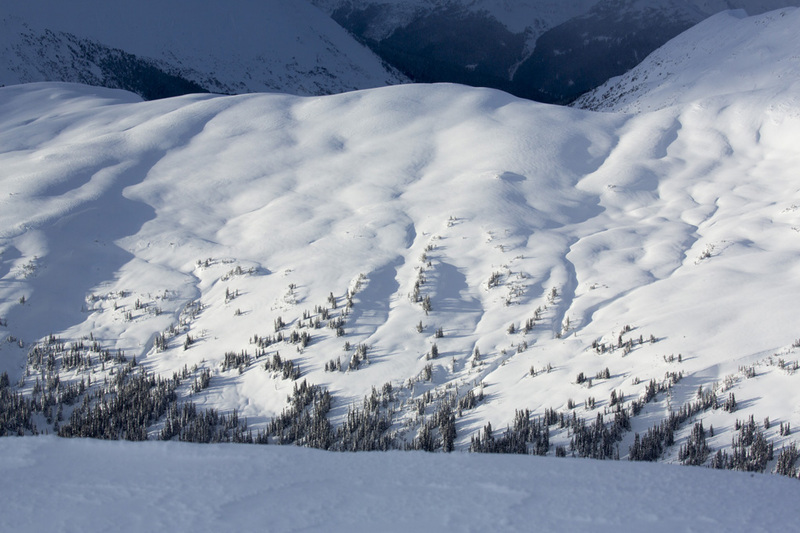 Through Skeena’s geographical location and diversity of terrain, we consistently enjoy one of the lowest number of down days in the industry. How far away is the first run from the lodge? The closest run is a 6 minute flight. 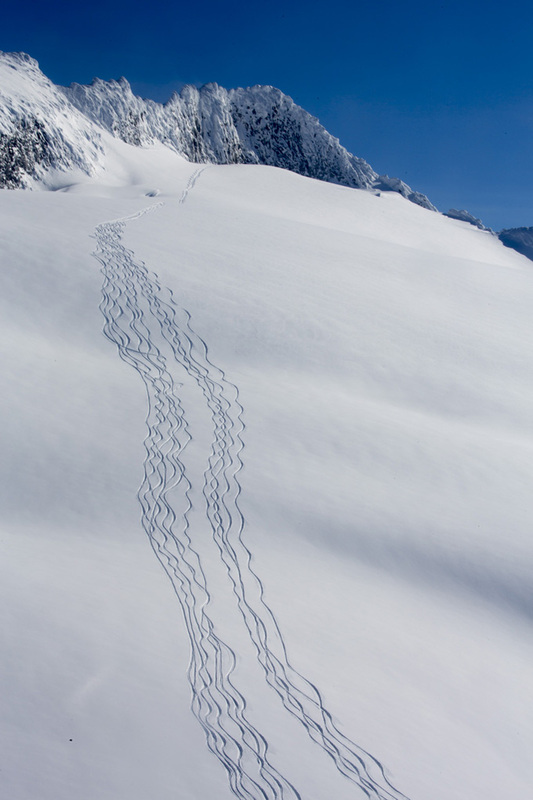 However most of our skiing occurs within a 15 minute flight radius from the lodge. 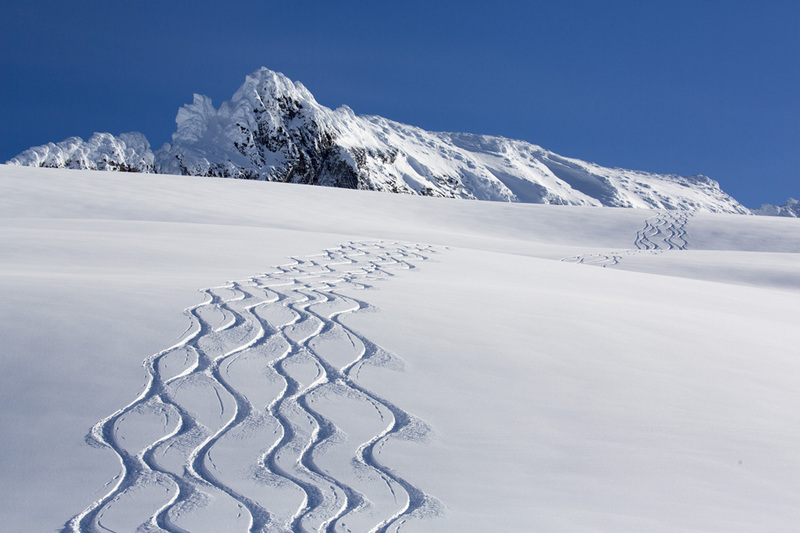 Weather and snow conditions typically dictate where we ski.